Just over a decade ago, loudspeaker manufacturer Vivid Audio sprang up in a most unusual place -- not the Shire of Middle Earth, but Durban of South Africa. Such a curious location would not be terribly surprising if assembling MDF boxes, OEM drivers, and crossover kits were what the new company had in mind -- a woodshop can be located almost anywhere. But Vivid’s raison d’être is diametrically opposed to such a conventional approach. Vivid’s principals set as their goal nothing less than world-class sound. Willing to test previously uncharted waters, company founder Philip Guttentag and close friend and ex-Bowers & Wilkins president Robert Trunz called on Laurence Dickie, the creative genius behind B&W’s Matrix-enclosure innovations and groundbreaking Nautilus superspeaker, to bring to bear his driver designs and enclosure acumen. Following on the Ovals’ heels came the Giya line, named for a Zulu tribal dance. The big Giya G1 looked like no other speaker, and represented an all-out assault on performance standards and a technological tour de force. While those toeing the line of conventional wisdom didn’t know what to think, open-minded music lovers latched on to Vivid’s achievement. It was a watershed moment for the company, and the fulcrum for its subsequent global success. The ascendancy they’ve reached since is all the more noteworthy given the concurrent vicissitudes of the industry at large. After the Giya G1 came the more manageably sized and somewhat less expensive Giya G2 ($50,000/pr. ), a speaker that Doug couldn’t wait to hear, and to test in the anechoic chamber of Canada’s National Research Council. His conclusion: It’s the best speaker he’s ever heard. Yet even the G2 is still too much speaker for many domestic situations. So at the 2012 Consumer Electronics Show, Vivid introduced a baby Giya, the Giya G3 ($40,000/pr.). In Vivid’s palatial suite at the Mirage Hotel and Casino, in Las Vegas, in a system fronted by a sublime Brinkmann turntable, the combination of dazzling sound and demure physicality further validated the praise of the G3’s predecessors while offering a newfound aesthetic accessibility. Impressed, I requested a pair of review samples. With the factory in Durban working overtime to meet robust demand, I had to wait a little longer than planned, but . . . enter the Giya G3. Vivid Audio’s focus has been global from inception, and they package each speaker for travel to the four corners of the earth. The shipping crate has built-in handles and wheels to ease delivery -- just one of the many small, thoughtful details that remind one that Vivid keeps the customer in mind. Open the side of the crate indicated, and instructions for further unpacking are presented front and center. The speakers themselves are wrapped in a cocoon of machined, form-fitting, closed-cell cushioning material, and a sheath to protect the finish. All accessories are separately boxed and secured within the crate to prevent self-inflicted wounds. You then set the crate on end. The base of the speaker is coupled to a removable shipping plinth, on which the speaker rides as it slides out of the crate on a pair of wooden skids. Unscrew the coupling bolts to separate speaker from plinth, move the speakers into place, install the spikes (which have spike shoes to protect hardwood floors), attach the front and side grilles, and you’re done. Unpacking and initial setup could hardly be more straightforward, and with each speaker weighing only 90 pounds, it’s a simple two-person job. The owner’s guide should be complimented. While the cover states “G1Giya,” it’s mostly about the entire Giya range, and expounds in interesting detail the design philosophy behind and technologies used in these unique speakers. It should be required reading for any owner. 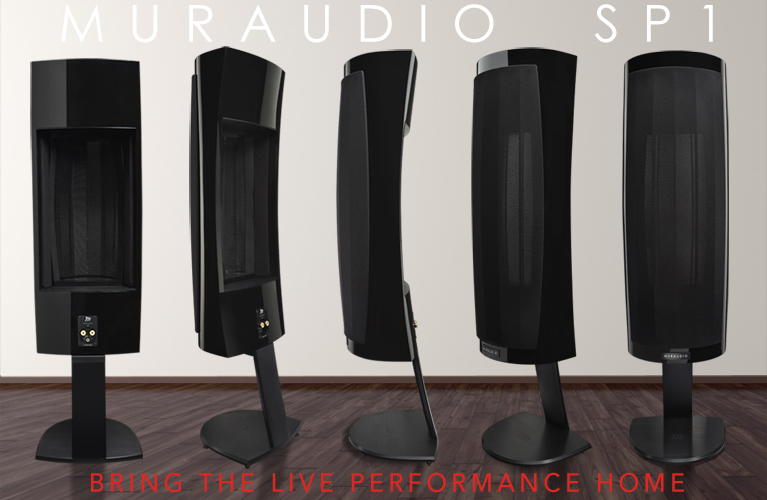 The Giya G3 is a curvaceous four-way, five-driver loudspeaker in a molded cabinet available in a set of standard high-gloss colors or, on a custom basis, any automotive finish presently available (even racing-inspired matte finishes are now offered). But if the devil is in the details, this is one demonic beast. The molded cabinet is constructed of a glass-reinforced, balsa-cored sandwich composite for an inherently antiresonant structure at the required frequencies, and it’s surprisingly lightweight. Structural rigidity is not only established through the complex curving of the surfaces, but is enhanced by internal bracing of an extensiveness to be expected from the man who designed B&W’s Matrix. The drivers are unique to Vivid Audio. All are designed by Dickie, patented, and are obvious sources of pride. From the owner’s manual: “Each driver is designed to be pistonic within [its] working bandwidth with resonant break-up occurring well above the range of audibility or at a frequency at least five times that of the upper band limit. At the rear of the diaphragm, any cavities which might lead to in-band resonances have been comprehensively vented or coupled to matched absorbers, both actions which completely remove [such resonances].” A pair of C135 low-frequency, side-firing, 8” woofers reproduce frequencies up to 220Hz. A C125S midbass driver handles the 220-880Hz range, a D50 midrange dome driver is responsible for the several octaves between 880Hz and 3.6kHz, and everything above that -- all the way up to 36kHz -- is reserved for a D26 dome tweeter. All five drivers feature compliant mounting, via silicon O-rings, to isolate the drivers and their vibrations from the cabinet. All have radial magnet structures, to avoid the reflection of rearwave energy, and tapered-tube loading. The D50 and D26 domes have catenary profiles, which, together with a hand-applied stiffening agent, helps push their first breakup modes well above each driver’s primary operating range, and gives them incredibly broad dispersion patterns. Visually, there’s nothing quite like a Giya speaker from Vivid Audio. Unlike its older, bigger brothers (especially the man-sized G1), the G3 is compact. Its dimensions -- 46”H x 13.5”W x 23”D -- are themselves deceptive, since most of its bulk is anchored in its lowest 22”; i.e., below the bottom edge of the front grille. The cabinet curls and narrows until it’s just barely wider than the midbass driver at two-thirds the cabinet’s height, then tapers further, to only 4” wide at its topmost point. Though the G3 defies traditional speaker shapes, the responses I’ve gotten to its looks have been overwhelmingly positive. Many visitors describe it as “beautiful.” There’s something very graceful in the appearance of the G3, with most of its volume anchored at the base, and visually diminutive at eye level. Even those initially taken aback don’t think of them as being ugly, just “unusual.” One of the women in the office who, at first blush, thought the G3 “weird,” exclaimed, after a short listening session, “Now I get it!” Whether you find the Giya G3 a work of art or an eyesore, no one could ever claim that its appearance lacks character. The sound from the G3s emanated as if from empty space. I had no sense whatsoever of the speaker’s physical presence. Much of this effect was certainly due to the shape of the cabinet itself. With an almost nonexistent baffle, and smooth surfaces devoid of planes, concavities, or sharp edges, diffraction is minimized. It must also be partially attributable to the drivers’ very wide dispersion characteristics. By broadly energizing the room acoustic almost like an omnidirectional speaker, and avoiding any beaming from the high-frequency drivers, the disappearing act is complete. Again and again, I have been startled by the total absence of any cues that would identify the speaker cabinets as the sources of the sound, which seemed to flow from empty space. Soundstaging was an absolute marvel through the G3s. In striving for freedom from resonance and reflections -- two aspects of reproduced sound that Dickie considers fundamental, due to the human ear-brain system’s acute sensitivity to these effects -- Vivid Audio seems to have accomplished its goal with the G3. One afternoon, my attention was piqued during the opening bars of Miles Davis and Gil Evans’s “Song No. 1,” from the trumpeter’s Quiet Nights (CD, Columbia CL 2106). I’ve been on a Gil Evans kick lately, and therefore am more attuned to the nuances of his arrangements. I turned up the volume, reset the track to the beginning, and reveled in a recharging bolt of sonic bliss for 4:37. Mentally refreshed, I returned the volume to background levels and resumed my day job. Even at low volumes and without conscious focus, music through Giya G3s could tap in to my awareness and connect on emotional levels. What more could an audiophile ask for than a crystalline window on the music unmarred by spectral contamination or discontinuity? Equally satisfying for a reviewer, the G3s illuminated any changes upstream. Through them, I was able to scrutinize the impact of alternating between my solid-state and tubed DACs, experiment with different capture rates in vinyl rips, and play around with various digital filters. While the Giya G1 and G2 are renowned for their prodigious low-end output, the Giya G3 is so much smaller that I expected to hear significantly less bass. Listening confounded that expectation. The G3’s claimed -2dB point is 36Hz -- a mere 6Hz higher than the man-sized G1’s. My in-room measurements validated Vivid’s spec, with nearly full output at 36Hz, and output at 30Hz down by 7dB. However, with the Giya speakers in general and the G3 in particular, what was ear-opening about its bass performance was less the quantity and more the quality of bass. I asked Dickie why his designs defy expectations in this regard. Beyond applying a tapered absorber -- essentially, the entirety of the visible cabinet is the bass system’s tapered tube -- and implementing Dickie’s theories about time domain and excursion, the two bass drivers’ structures are mechanically joined to one another in a reaction-canceling arrangement (like the 180-degree-opposed cylinders in the flat-12 engine of a Ferrari Boxer). When you have two equal masses travel with equal force in opposite directions, their reaction forces are completely canceled. With compliant mounting and reaction canceling, little or no vibrational energy is transferred to the cabinet. The two ports, each a crescent-shaped slot, are located 3” or so behind the bass drivers, and can be used as handles for lifting and positioning the speakers. The Giya G3 not only passed my favorite torture test for bass, the title track of Donald Fagen’s Morph the Cat (CD, Reprise 49975-2), it easily exceeded the prior bass champion in my room, Magico’s Q1. As reported in my review, the small Q1 left visitors stupefied by its bass impact. The Magico’s magic confounds the uninitiated with expectation-defying spectacle astounding for its size. With Vivid’s Giya G3, the bass simply astounded. When it comes to a speaker’s ability to produce a high quality and quantity of deep, forceful bass, there’s no substitute for cubic inches. The Magicos could rattle the rafters of my 225-square-foot room, but the G3s seemed about to bring the house down. (I did spend several hours making minute adjustments of their positions to minimize room-excitation modes.) My friend and colleague Eric, whose expectations for small speakers were reset by the Magico, was gobsmacked by the Giya G3. “It goes to show the difference between a minimonitor and a floorstanding speaker,” he said. Being a four-way floorstanding speaker with twin woofers, the G3 should be able to best any two-way stand-mount in frequency response. But the comparison of it with the Magico Q1 was less about extension and more about quality. Every bit of speed and control available through the sealed-box Magicos was matched by the ported G3s. By now I’d concluded that the Giya G3 was a world-class loudspeaker, and was interested to hear how it would stack up against Vandersteen Audio’s Model Seven, which has long been the reference speaker in my big rig. While the Seven and the G3 have somewhat similar footprints, the G3 is significantly smaller, both visually and in volume. Each has an impeccable automotive finish, but the Vandersteen, despite its sloped front and Stealth-fighter bevels, is a variation on the traditional rectangular box; the Vivid’s shape defies that tradition. Otherwise, and somewhat surprisingly, the G3 and Seven are much more similar than different. Neither speaker imposed its own will on the music, but instead revealed it. From each pair, the retrieval of detail and soundstaging were simply spectacular. Why? 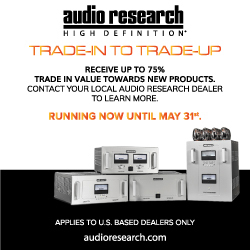 Both are four-way speakers with low-end sections tailored for time-domain performance. In each, the tweeter, midrange, and midbass drivers are grouped in a space more or less the size of a human head. Richard Vandersteen was one of the first designers to proselytize the benefits of minimal baffles, an approach refined in the Model Seven but that Laurence Dickie has advanced to extreme levels in the Giya G3, to virtually eradicate diffraction effects. Further, both speakers use pistonic drivers, which, rather than mixing and matching cone materials, are uniform in construction (carbon-fiber-skinned balsa cores in the Vandersteen, damped-aluminum alloys in the Vivid). Both sets of drivers focus on the amelioration of backwave smearing. The utter lack of cabinet- or driver-based distortions in both speakers means, among other things, that discipline is needed in controlling the volume, to prevent hearing loss. Without the distortion cues that normally lead one to turn it down, it’s way too easy to drive these speakers to very high levels without realizing it. 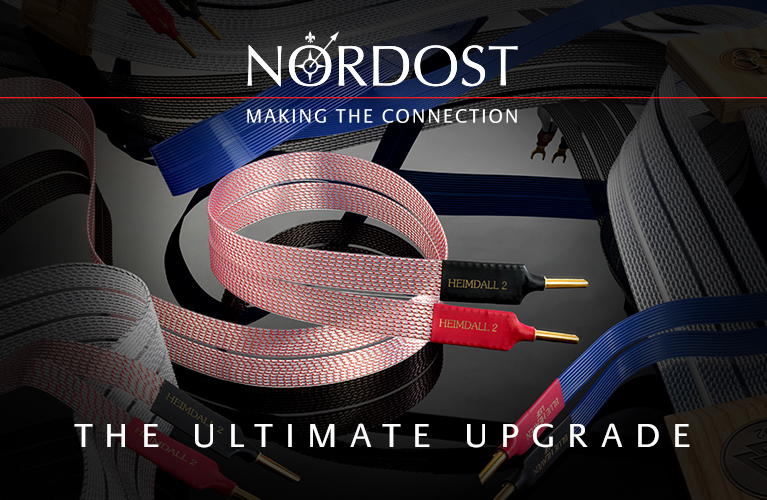 In short, each is an outstanding tool for delivering world-class sound. Perhaps these similarities shouldn’t surprise. I’ve spent a significant amount of time with both Laurence Dickie and Richard Vandersteen, and they share some fundamental qualities that may explain why neither makes me-too products. Both are inquisitive, abundantly creative, and, perhaps most important, open to exploring new ideas. Not only do both men seek out the “interesting” and try to deduce how differing approaches work, each continues to dig down beneath the “why” to hypothesize about and run experiments on how he would further refine or adapt an approach to enhance his own designs. But while similar in many respects, Dickie and Vandersteen are definitely not the same, and neither are their speakers. Like all Vandersteen models, the Model Seven has a first-order crossover to re-create a time- and phase-coherent waveform, as well as a powered and adjustable subwoofer system. The Vivid Giya G3 is significantly more efficient and, compared to the Seven -- which has no problem pumping out sound -- more explosive: sound cascaded effortlessly from the G3s. But that comparison unfairly belittles the Vandersteen, because the Vivid’s abilities in this regard are without peer in my experience. It’s the difference between grades of “A” and “A+”. The Vandersteen Seven’s adjustable bass output probably makes it the better tool for a challenging room and for those who mostly listen to classical and jazz. In my opinion, the time and phase aspects of Vandersteen designs really shine with those sorts of music: recordings of unamplified instruments all played together in real time in a real space. This is especially true for those who listen from a dedicated sweet spot at which the time and phase abilities coalesce and for which the bass can be optimized. The Vivid will be the better tool when the listener’s taste in music runs further afield, especially when the SPLs escalate, and when a more flexible and expansive “zone of sonic perfection” is desired. I found it an incredible rock’n’roll speaker. All that said, the Vandersteens can play everything extremely well, and the Vivids were tremendous all-arounders. Rich, vibrant, exciting, engaging, and sustaining, this smallest Giya from Vivid Audio realizes the aspiration of its designer to create a precise transducer whose reproduction of music does not create stress in the listener. Its compact shape may be unique, but to my eyes is uniquely beautiful. While it hits the ball out of the park in all the traditional hi-fi categories of soundstaging, coherence, detail retrieval, etc., perhaps the Giya G3’s greatest strength is its total absence of cabinet-imposed colorations or character. The G3 performs a sonic disappearing act like no other speaker I’ve heard. For the demands of my compact listening room, Vivid Audio’s Giya G3 is an essentially perfect pairing with my reference electronics from Ayre Acoustics -- a pairing I’ve now made permanent. Price: $40,000 USD per pair.